Colourwork is beautiful, intricate and scary as all hell to tackle for the first time! But it was next in my knitting hitlist of new techniques I want to teach myself whilst I have a fair amount of free time. As I am currently working as an au pair in Wellington, New Zealand, I have plenty of time when the baby is asleep to do some knitting homework and teach myself new techniques. I have already discussed how I am an entirely self-taught knitter, and in a world of online video tutorials and knitting blogs, teaching yourself is entirely achievable. And as I am in NZ, there is a great deal of beautiful yarn around for me to play with! Dare I say it?! Crochet. I've failed at every attempt so far. New Zealand yarn is gorgeous (I suppose it should be given the amount of sheep in this country! ), especially a unique variety of merino-possum. Super warm but nice and thin, it comes in beautiful colours. 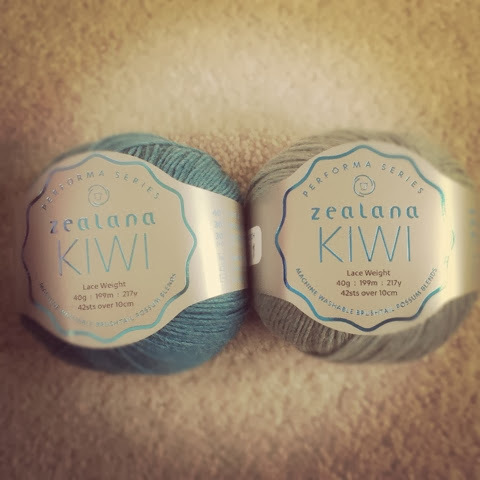 Zealana yarn is sooo beautiful, when I saw it I knew it would produce the most beautiful colourwork. Then I had to pick my first colourwork project. 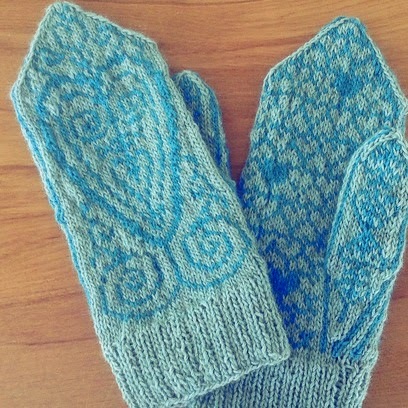 My mum and dad were coming over to NZ in January, so I hoped to get a pair of colourwork mittens completed in time for my mum to take home to England. Hopefully the English winter wouldn't be too hard to face with merino-possum covered hands! I did some research on Ravelry (cue lots of ooohhhs, ahhhhs!) 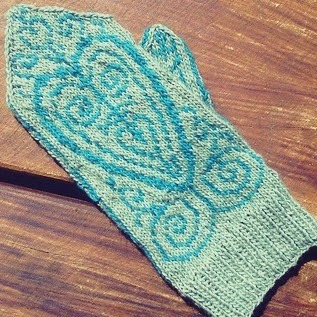 and finally decided on the Freja mitts pattern. Soooo beautiful! Complex enough pattern to look impressive but using only two colours so it didn't terrify me completely. So I have my yarn and my pattern, so now I needed to do some technique research. As usual, I read heaps of articles and watched so many videos, but in my opinion the best explanation of stranded work was on the amazing By Gum By Golly website! 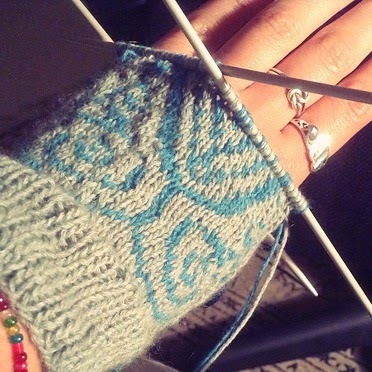 Tasha goes into detail of various ways of completing stranded colourwork and her tips certainly made it less daunting. So, I dived in. Loved every little frustrating and fiddly moment of it! Not an ideal pattern to have to put down and pick up again when the baby woke up, but with my fancy new iPad app (JKnitHDLite) I could easily keep track of what I was doing. I got them finished in time for my mum's visit (considering it had only been 6 months since I saw her last, it felt like a lifetime! Queue lots of emotional hugs, tears etc). I think the most satisfying results come from things that take a lot of love to complete! What were your first colourwork experiences and projects?